Each piece is degreased, cleaned and magnetic particle inspected. 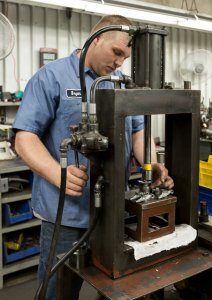 Connecting rods undergo a dimensional inspection, alignment check, as well as a twist and bore check. They are re-bushed and precision bored to new dimensional limits and alignment. Each part receives a final inspection to ensure it is like-new and an FAA 8130 maintenance release is issued for return to service.